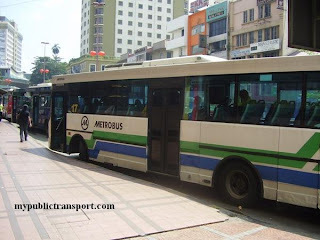 Note : The Melaka Town Bus Routes are not complete. We welcome anyone to provide more info at the comment box below. Hi, Do you have more information about melaka town bus 17? I plan to take bus from the place near Mahkota Medical Centre to Melaka Sentral for bus to Singapore at 8am or 9am. Can tou give me suggestions about the route and where to wait the bus? Thank you! Hi, you need to come out as early as 6.30am as it comes every 20 minutes and the travel time is about 30 minutes. You can take the bus near Dataran Pahlawan, but need to make sure you climb the bus head back to Melaka Sentral because both going to Ujong Pasir and Melaka Sentral are stopping at the same location. Hi! Do you happen to know what time the earliest bus (route 17) is for a trip from Melaka Heritage site to Melaka Sentral? Hi, it is starts from 6am from Melaka Sentral so it should reach the Heritage Site by 6.30am where it will return to Melaka Sentral. Hi, I heard that we can take the domestic bus number 17 at Melaka Sentral to Christ Church (which is near to Jonker Street). Can I know how about we back from Jonker Street to Melaka Sentral? Is it better to get on the bus infront of SJK (C) Pay Fong 1? If yes, is it still the same bus (number 17)? Can I know about how long the bus will come? Thanks! Hi, yes you can take 17 from Melaka Sentral to Christ Church. Yes, the easiest way is go to Pay Fong and take the return bus 17. It comes every 15 minutes. Hi, I stay at Estadia Hotel, if need to take bus to malaka sentral , can I just take bus no 17 in front of dataran pahlawan at jalan merdeka ? Hi, the bus at Jalan Merdeka is heading towards Ujong Pasir, you need to walk to opposite of Mahkota Hospital for the bus 17 return to Melaka Sentral. Hai , saya nak tny ade x laluan melaka central ke jalan hang tuah? Bas no. berape yer? Hi, you can take 1A 1B 2 3 8 9B 11 12 13 14 15 17 22 or 23 to Jalan Hang Tuah. 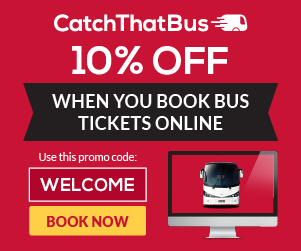 What is the difference between bus 17 & bus 18 route? I am staying near Jonker Street and would like to catch the earliest bus back to Melaka Sentral. 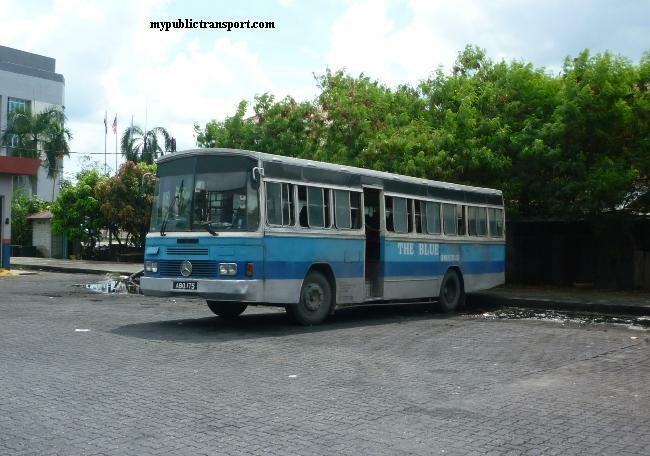 The bus route taking from Christ Church back to Melaka Sentral takes more than 1 hour. Is there another bus stop which is shorter to Melaka Sentral? Hi, you need to go to Pei Fong school to take bus 17 back to Melaka Sentral, if you take from Christ Church, it will head to Ujong Pasir and then only come back to the town and go to Melaka Sentral. Hi, you can take Panorama bus 17. Hi, there is no bus going into that area, you need to take taxi. ok thank you... by the way from melaka sentral to mahkota parade what is the earliest departure? and from mahkota back to melaka sentral what is the last trip? From Melaka Sentral, the first bus 17 to Mahkota Parade is from 6am and the last is about 10pm. hi... why you said that there is no bus going in this are? the other day i'm waiting for a taxi then there's a bus passing by here panorama it's from jasin to melaka sentral. how come you said that no bus from this area? 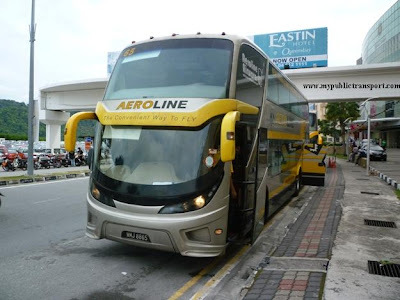 Hi .. which bus number goes to euro rich hotel from malaka sentral?? and how to get to shore oceanarium from euro rich hotel..? thank you..
Hi, you can take Panorama Bus 17 for both your journey. 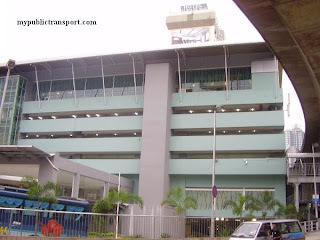 From Melaka Sentral, you can stop at Mahkota Parade and walk to Euro Rich Hotel. From Euro Rich Hotel, just wait for 17 at Mahkota Hotel, and then it will takes you to Jalan Hang Tuah where you can stop there and walk to Shore Oceanarium. hi, may i know when is the latest bus (no 17)? Hi, the last bus is roughly 10pm. May I know how do I get bus 17 from Bayview hotel to Melaka Sentral? Hi, you don't need to take 17, you can take bus 26 from Bayview Hotel to Melaka Sentral. May I know is it the bus stop outside Orkid Hotel? Thanks. Hi, you can directly walk to Jalan Hang Tuah. 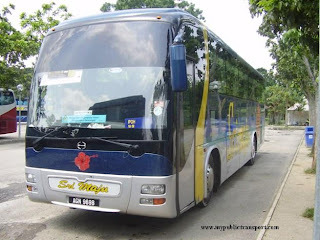 Hi, which bus to take from the equatorial hotel to meleka sentral at about 12 pm? I stay at Kawan Kawan Guest House. Which bus should I take to Melaka Sentral and where is the bus stop? Hi, you can take Panorama Melaka Bus 17, you can get it from Jalan Kubu near to Pay Teck School. Hi macam mana dari melaka sentral nak pergi ke imperial hotel? Naik bas no berapa dan tahu tak dia punya fare berapa? HI, you can take Panorama Melaka Bus 17. The nearest bus stop is at Jalan Bendahara so you can get down there. Hi . I would like to know . Bas no 17 lalu tak jalan mata kuching ? Can I know where is the location of Jalan Mata Kuching? The bus is every 15 minutes. You can get down near the Dutch Square and walk to your guest house. Thanks, I'm in the town, and I want to know where can I take the bus 17 early morning on monday to go to Malacca sentral from my guesthouse. Thanks again. You have to go to this bus stop. Hi, I want to go to BIMB branch in Ayer Keroh from MMU. 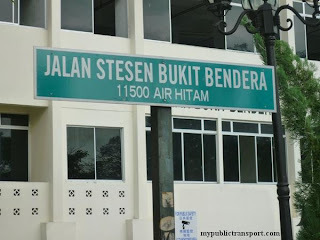 So, I want to know where should I get down to the stop station in Ayer Keroh (near the bank)? 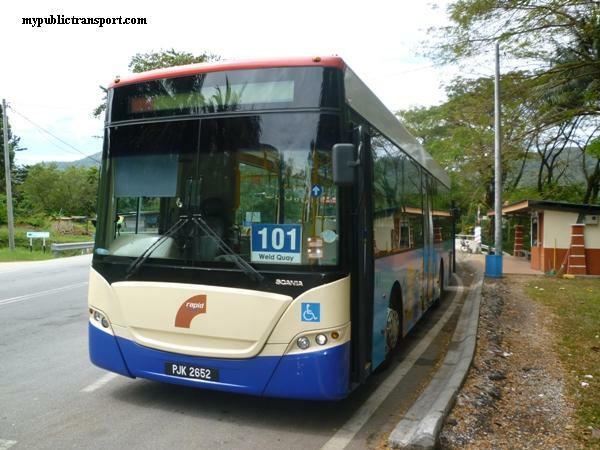 Hi, may I know which bus to take from the malacca airport to melaka sentral at about 12 pm? Hi, you can take Panorama Melaka 21A. Then which bus should I take from MMU to go to that place? Is it melaka sentral - ayer keroh/ mitc? Hi, you can take 24A, yes it is a melaka sentral - ayer keroh/ mitc bus. 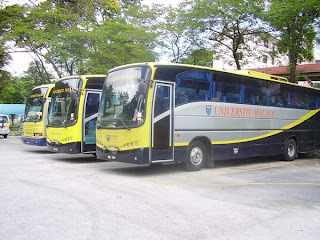 hi,i would like to go UTeM which is at durian tunggal.which bus should i take?where to wait? Hi, you can take Panorama Melaka 21A from Melaka Sentral. Sorry we not sure about the fares and the bus does not go into UTEM. 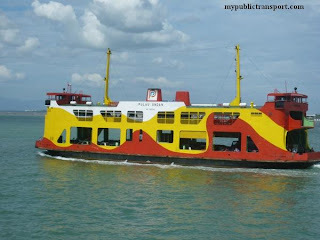 Hi, May I know is there any public transport from Melaka, Muar and Tangkak to Bukit Gambir? I will travel to bukit gambir soon and I cant find any information from Internet. Hi, You can take North West Bus from Tangkak to Bukit Gambir. Hi. I am staying at Heeren Straits Hotel. Which bus stop should I go n which bus number to go to Dataran Mega Mall? Hi, you can take Panorama Melaka 17, but they are within walking distance. Oh. I see. Thanks a lot for your prompt reply. Have a great day. i would like to go to Malacca Straits Mosque from Melaka Sentral, what is the bus number and what is the nearest bus stop ? Thank you. Hi, you can take Panorama Melaka Bas 17.
hi which bus stop i need to take off? Hi, you can get down near to Mahkota Parade and walk to the mosque. Hi,can I know which bus should I take from krubong to melaka sentral ? And can I know where is the krubong bus stop? Hi, you can take Panorama Melaka Bus 2. The bus go through Jalan Krubong, Krubong Jaya, and Tecknology Cheng. hai saya nak tanya kalau nak pegi tasik ayer keroh macam mana? Hi, you need to walk to Holiday Inn and take Panorama Melaka Bus 17, the last bus is around 8.30pm. Hi, you can take Panorama Melaka Bus 19 from Melaka Sentral. Hi, I'm going to Hotel Hallmark Leisure, I should take bus no.17 and drop by at Christ Church right? or is there any other nearer bus stop to the hotel? Hi, Bus 17 is one option. You can also take other Panorama Melaka Bus such as 1a,1b, 2 and etc to Hang Tuah Stadium and walk to Hallmark Leisure Hotel. Hi, is there any bus to Klebang Beach from jonker street or melaka sentral? Hi, you can take Panorama Melaka Bus 11 or 12 from Melaka Sentral. I will be staying at Prima hotel. Now I am wondering where to board bus 17 back to Sentral so that I can catch 10am-coach on Monday? You suggested to board bus 17 at Pay Fong. Where is it located exactly? Is this Pay Fong High School? Would be great if can attach a map of this location. Also what time should I be there to wait for bus 17 so that I reach Sentral before 10am? Thank you very much! Here is the bus stop, you need to take it by about 8.30am. Truly appreciate your prompt reply! Useful indeed! Besides 17, there are other bus that return to Melaka Sentral, just ask the driver before boarding. Sorry to trouble again, I am not able to find any link to maps when trying many times in the link you have kindly provided. Would you tell me the name of the road and the building where I wait for buses for this return trip to Sentral after checking out from Prima Hotel? Sorry to trouble you. I thought I could click on the link directly accessing to map. Thank you once again. Thank you so much! Finally got Internet access. Now I can see the location very clearly. Thank you for advice! 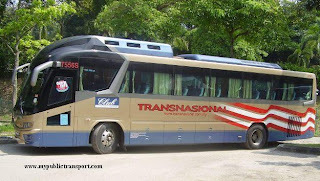 If I want to travel from Hilir Garden Ice cafe, to Taman Melaka Raya, then to JOnker walk, What buss should I to take? Hi, you can take Panorama Melaka 17 for both the trips. I look panorama Melaka 17 route sechedule is until Taman Hilir Garden.SO what is the return route for bus 17? So, I can plan for return route. 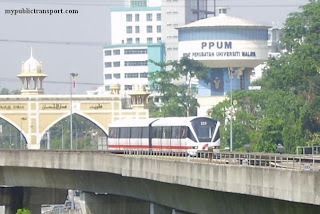 It will go back to Melaka Sentral via Jalan Syed Abdul Aziz, Taman Laksamana and Jalan Kubu(near Jonker Street). Hi, I have a plan to stay at 906 riverside hotel. what bus should i to take from Melaka sentral? Hi, there are lots of choices, you can take any Panorama Melaka Bus that goes to Jalan Hang Tuah (normally they call it Ocean). Then you can walk to 906 RiverSide Hotel from Jalan Hang Tuah. how can i travel from melaka sentral to MITC? How long is the interval between each bus ? Hi, you can take Panorama Melaka 24A or 24B, they are every 2 hours. Hi how can I travel from MMU to World Youth Foundation? What are nearby stops nearby WYF? Hi, you can take Panorama Melaka 24A. Hi! 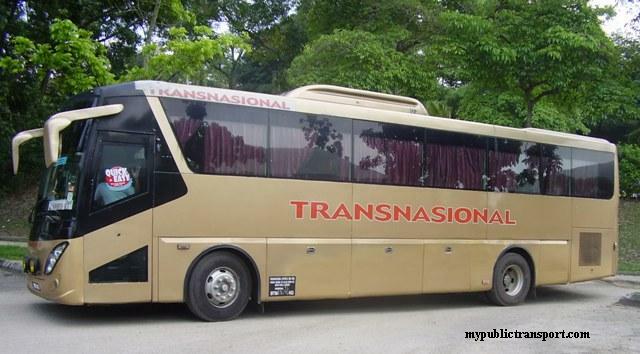 Which bus should I take from Vrest Hotel (Jalan KL 3/11, Taman Kota Laksamana, Seksyen 3) to Malacca town? Hi, you can take Panorama Melaka 17. Hi. What bus should i take from melaka sentral to go to zoo melaka. And how much the fare? Hi, you can take Panorama Melaka 19.
after reading former post, I still can't find the bus stop to get back to Melaka Sentral from my stay via Google Maps. Where is the best bus no. 17 stop from Jalan Laksamana 10 (Casa Blanca Guesthouse)? Thank you in advance! Hi, from the guesthouse you need to walk to Jalan Hang Tuah to go back to Melaka Sentral. You can take 17 or others that return to Melaka Sentral. Hello, I will stay at Klebang Beach (Food Tourism House). So which bus that i have to take to go to Dataran Pahlawan Melacca Megamall? Hi, you can take Panorama Melaka 11,13 or 14 to Melaka Sentral, then take 17 to Dataran Pahlawan. Hi, I will be staying in Wana Riverside Hotel in Jalan Munshi Abdullah? 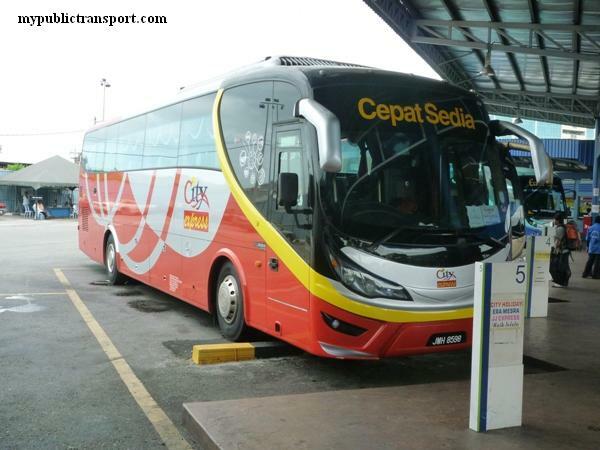 May I know what is the bus I can take from Melaka Sentral to go to my hotel? Thanks! Hi, you can take Panorama Melaka Bus 17.
what bus number goes from bus stop Perhentian Jalan Kabu to Melaka Sentral? And how often are the buses? Hi, you can take Panorama Melaka 17 to Melaka Sentral. It is every 20-30 minutes. Hi, would like to ask how can I go back to Melaka Sentral from Mahkota Parade . using Panorama 17 , which bus stop should I go to for the return trip. Hi, you can take Panorama Bus 17 from Mahkota Hospital. Hi, may I know whether the return routes of bus 17 from Mahkota Parade to Melaka Sentral are the routes and areas as how it goes (From Melaka Sentral to Mahkota Parade: Melaka Sentral -> Mata Kucing -> Pengkalan Rama -> Jalan Bendahara -> Bangunan Merah -> Mahkota Parade) Does the return routes are the reverse of the routes as shown above? Please kindly provide the return routes if it is not the reverse as how the departure from Melaka Sentral is. Thank you. For return journey, it goes through Holiday Inn, Mahkota Hospital, Taman Kota Laksamana and back to Melaka Sentral through tesco. Hi, I want to go to Hotel 906 Melaka Raya, 22, Jalan Melaka Raya 15, Taman Melaka Raya, 75000 Malacca, Malaysia from melaka sentral, which bus i should take and where to get off? if back to melaka sentral, where should i take the bus again? Thanks. Hi, you can take Panorama Melaka 17 from Melaka Sentral to Jalan Parameswara and walk to Hotel 906. For return, take the same bus at Jalan Melaka Raya. Hi, did you mean at Jalan Melaka Raya 15 can take bus 17 back to melaka sentral? Thanks. The main road Melaka Raya. Hello, would like to know until what time do buses work? Also, I am staying at Ola Lavanderia hostel, which one should I take? Hi, the bus is from 6am to 9pm, you can take Panorama Melaka 17 to Dutch square and walk to the hotel. Hi, you can go to Hang Tuah Mall to take Panorama Melaka 1A to there. 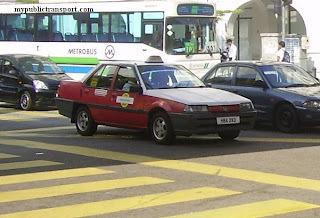 Bus stop is at Lebuhraya AMJ. The Bus Route No. 17 to Dutch Square/Jonker Street operates from what time to what time? Hi, it is from 6am until 9pm. Hi, there is no bus entering Skytrex. hello. i'll be staying in hallmark crown hotel. any bus station near the hotel to ride the no. 17 bus to jonker street? Hi, you need to walk to Jalan Abdul Aziz. 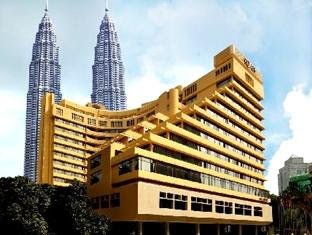 Hi, I stayed at The Explorer Hotel (Jalan Plaza Merdeka). From Melaka Sentral, where should I alight? And from the Hotel, where should I stop the bus to go back to Melaka Sentral? Hi, you can take Panorama Melaka bus 17 to Jalan Merdeka and walk to your hotel. To return to Melaka Sentral, you need to take the bus from Holiday Inn. Hi,may i know any panorama bus, what is the morning time from Merlimau town go to Muar? Hi, you can take Panorama Bus 9A or 24B to Melaka Sentral, then take 6A to Muar, last bus is 9.30pm. Hi, usually it is about every 30 min.